The competition for the new Guggenheim Museum in Helsinki requested an innovative, multidisciplinary museum of art and design. PHOOEY’s proposal collects site artefacts, preserves contributory memories & re-interprets them. South Harbor is identified by its maritime history including cultural memories & embodied energy from site. Useful components are salvaged from the existing Makäsiini Terminal & are upcycled. 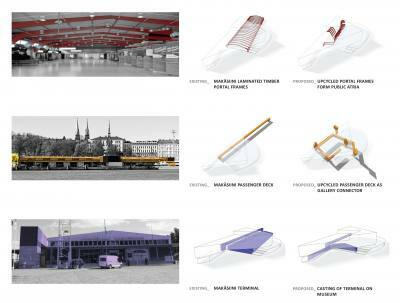 Guggenheim Helsinki is identified by these embedded memories integrated with sustainable initiatives. 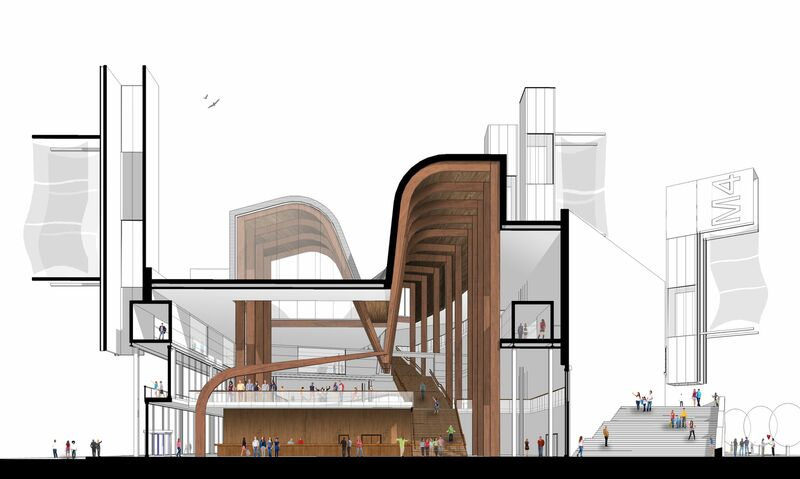 Reused elements include a projected cast of the entry facade for the entry, laminated timber portal frames from the concourse for the concourse & passenger deck to connect visitors to the exhibitions. 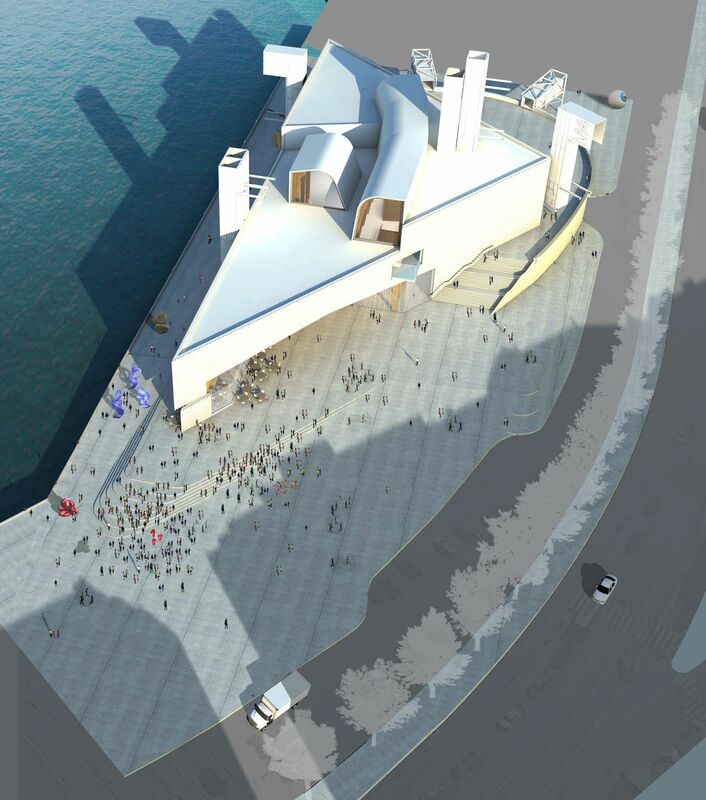 The Museum elevation is scaled to the city facade & moving cruisers. Salvaged components articulate the facades & mark the skyline. The harbor precinct extends into site. Museum frames views, addresses the Market Hall & activated all year round. 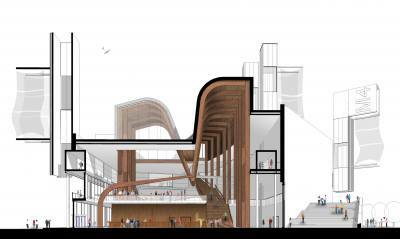 Sixty-eight percent of the site is public & internal activities are visible from the outside. Local & salvaged timbers are used to navigate through the Museum to exhibition & events.